The vineyards include the same plots that belonged to our parents and grandparents who took their harvest to the local cooperative wineries. We ourselves made our first independent wines in 1989 and today we grow our grapes on the mainly schistous soils of 50 hectares (some 125 acres) spread out around the villages of Estagel and Tautavel. Our dry wines, from classed terroirs, belong to the A.O.P. Côtes-du-Roussillon Villages and to the classed growths (crus) of Tautavel and Maury. 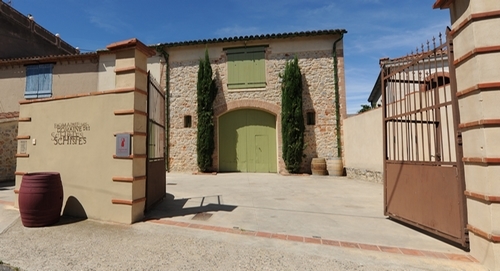 Our Vins Doux Naturels, known as VDN -Roussillon’s renowned fortified wines- are the A.O.P. Rivesaltes, Muscat-de-Rivesaltes and Maury. Additionally, we cultivate 5 hectares (12 acres) of vineyards in the Agly valley on alluvial soils which are classed as IGP Côtes Catalanes. Frustrated at not being able to make their own wines from their own grapes, in 1989 Jacques and Nadine withdrew from the cooperative winery to start out on their personal adventure: the old family winery in the middle of the village, dating back to 1906, had to be completely overhauled; they also had to learn how to make wine; they had no sales network. 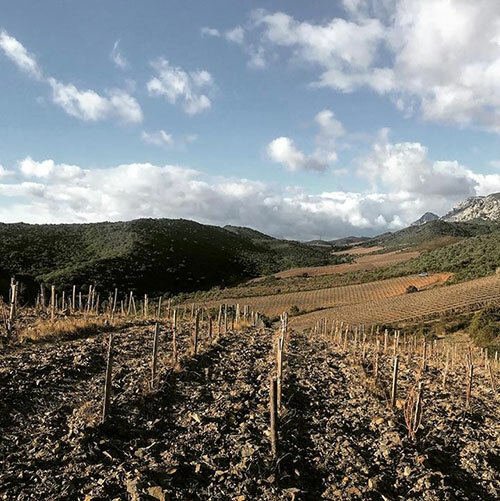 At that time in the Roussillon, the vineyards and viticulture were undergoing major renewal, independent wineries were launching estate-bottled wines and the press had begun to distinguish between the Roussillon and the wider Languedoc region. 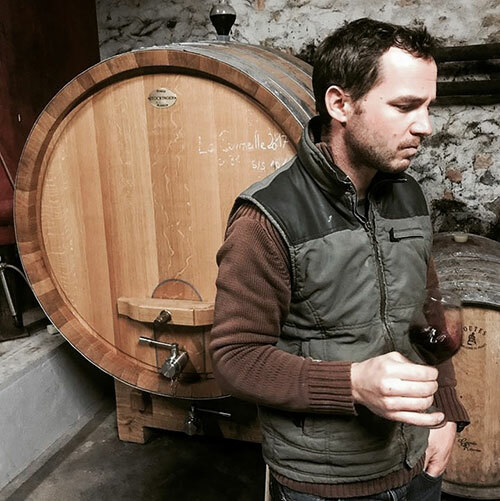 Mickaël joined the family team in 2004, after his studies and stints working in various winegrowing regions both in France and abroad. Then came the second stage: modernising the winery, with smaller vats for enhanced selection in winemaking, reserving the bigger tanks for maturing. And finally, in 2010, we launched the process to obtain certification as organic wine producers because it had become clear to us that organically-grown wines were unquestionably the way forward. We don’t inherited the land from our parents, we borrow it from our children” said the sage RAMASWAMI VENKATARAMAN. So, green manure for ground cover in winter, supplements of organic matter, crop rotation before replanting. We do our utmost to preserve fertility, bringing a new meaning to cultivation in place of exploitation. As to pruning, we have kept the traditional bush system so well-suited both to the Mediterranean climate and to our local grape varieties (Grenache, Carignan, Macabeu, Muscat) which combine to give us such unmistakeable, characterful wines. A commitment to an exacting respect for our terroirs has led us to vinify the harvests from individual plots or vineyard groupings separately (in 2008: 80 plots requiring 50 different fermentions in separate tanks). We can thus better assess the resulting different expressions and adjust the winemaking process if desired. These vinifications are left to themselves as much as possible to preserve the character of each origin, though our winemaking seeks to maintain a fresh, balanced style: what we want to offer is real insight into “our South” but free from stultifying heaviness and overbearing strength. To mature our wines without over-oaking them, we have retained the concrete vats along with the bigger cooperage (600 L barrels up to 2,000 L tuns).